What’s the Value of America’s Unfilled Jobs? Today, the U.S. has millions of job openings. Each one represents an opportunity for job seekers. But it also represents money left on the table – a foregone paycheck to workers and lost productivity to employers as valuable positions sit vacant. What is the Total Value Foregone from All of These Unfilled Jobs? By combining Glassdoor salary estimates with real-time job listings, we’re able to answer that question in a new analysis released today. In it, we used our highest-quality feed of U.S. job openings and estimated the median base pay for each job. By summing up these individual salary estimates, we’re able to estimate for the first time the total value foregone from all U.S. job openings. 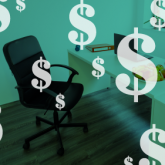 The bottom line: With roughly 5.1 million unique online U.S. job listings on Glassdoor today, the total value of estimated base pay being foregone is about $272.6 billion. Or, on average, about $53,594 foregone per job opening. Calculating the value of all unfilled jobs is hard to answer with government data. There’s no official census of open jobs in America. Instead, there are sample-based surveys like the BLS Job Openings and Labor Turnover Survey (JOLTS). In that survey, the estimated number of open jobs in America is based on a sample of just 16,000 U.S. workplaces — less than a fourth of 1 percent of the 6.7 million establishments that hire employees today. Because of that small sample size, the BLS JOLTS survey isn’t able to provide much detail about job openings. It has no information about what occupation today’s open jobs are in, what city they’re hiring in, the employer that’s doing the hiring, or what those jobs pay. This is one area where data from job sites like Glassdoor are powerful and can help fill in the gaps in our knowledge about the labor market. As the #2 job site in the U.S., Glassdoor has become one of the largest repositories of U.S. job openings out there. With millions of real-time job listings – including detailed data on the location, industry, job title, employer and other features of jobs – we have a unique view of open jobs in America today. In addition to jobs, Glassdoor is also one of the largest online sources for salary information. Over the years, we have collected millions of salary reports from current and former employees. Those data have allowed us to build sophisticated machine learning models to estimate U.S. median base pay in our monthly Glassdoor Local Pay Reports, and to provide customized pay estimates for job seekers using our Know Your Worth tool. Mostly Low or High Paying Jobs? There’s a lot of debate about whether most jobs being created in America today are low or high paying. Are most job openings today for low-paying retail and food services jobs? Or are they mostly high-paying roles in the fast-growing tech sector? One way of answering that question is show the actual distribution of pay for today’s job openings. That allows us to see whether open jobs today are really as polarized between low-paying and high-paying jobs as is commonly assumed. Here is that picture. It shows the distribution of estimated based pay for all of the roughly 5.1 million unique U.S. job listings on Glassdoor we analyzed. The horizontal axis shows estimated median based pay for the job listings, and the vertical axis shows the number of job listings in each pay range. As is clear from the picture, the distribution of pay for open jobs today looks a lot like the overall income distribution in the United States. It follows a roughly “lognormal” distribution, with many jobs at the lower end of the pay spectrum and just a few high-paying jobs. For better or worse, this suggests pay for job openings today are not much more polarized than the overall income distribution in the U.S. – a unique insight made possible by the labor market data on Glassdoor.